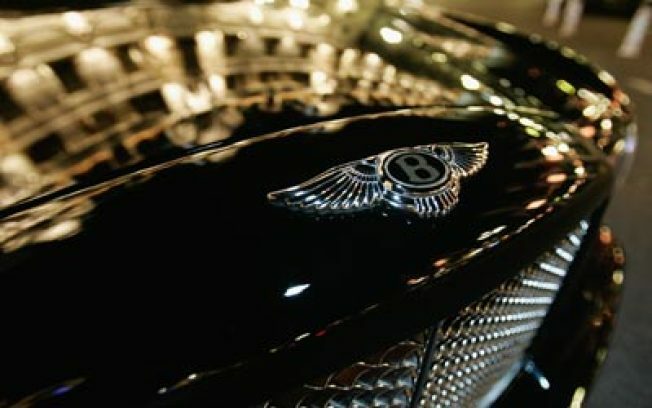 Pick up a Bentley in the lobby vending machine. Don't you hate checking into your hotel and realizing you've left one of your essentials at home? Like your toothbrush, your razor, or your 2003 Bentley Arnage T? At moments like these, thank God for the lobby vending machine. The Mondrian Hotel in South Beach, Fla. has you more than covered: All the bathroom staples are available at its Semi-Automatic vending machine, reports the AP, but you can also pick up the Bentley for about $90,000, a Jean-Paul Gaultier dress, and a pair of 24-karat-gold handcuffs at the push of a button. And if swiping your AmEx Black for a $1.2 million penthouse isn't quite enough of a middle-finger to the rest of a country in economic turmoil, consider the "F**k the Recession" t-shirt (whose flip side spells it out as "Recess Is On"). That should do it.